Health Plus Physical Therapy Center offering her vast expertise and deep passion for enhancing the quality of life for each and every patient. Established in 2001. Nirali built Health Plus to reflect her own Patient First philosophy. Health Plus Physical Therapy Center a personalized physical therapy. Rehabilitation practice is centered on its proven integrated approach. That combines progressive physical therapy, Pilates training, and one-on-one customized care to insure. Each patient enjoys the optimal treatment and recovery experience. During her comprehensive career. Nirali has practiced in several prestigious facilities. She honed her skills at such locations as Sunrise Assisted Living (East Brunswick), Christ Hospital (Jersey City), ABK Neurological Associates (Jersey City), and Roosevelt Care Center (Edison). 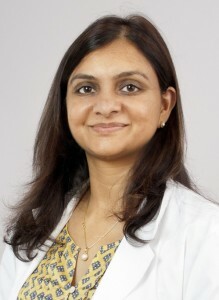 Nirali is adept the latest physical therapy tools and techniques including Portable TENS therapy, Electric Stimulation, Ultrasound, Inferential Therapy, Laser Therapy, Microvase System, and Biodex System to mention just a few. She graduated with a Bachelor of Science degree from Gujarat University at Gujarat in India. Nirali Patel is Registered Physical Therapist (RPT). Health Plus is one of four of Nirali’s practices. She also owns Health First Rehab (North Brunswick), Montclair Rehab (Montclair) and Drieser Physical Therapy (Co-op City, Bronx, NY). Nirali is dedicated to the community on both a personal and professional level. She held a prominent position at the Indian Health Camp of New Jersey. She is serves as a trustee for the Indio-American Cultural Association. Nirali has contributed her time and services to several non-profit organizations including BAPS Charities of Edison for their health fairs and Walk for Helping Hurricane Katrina Victims the Arthritis Foundation of New Jersey. Cancer Society of New Jersey. A longtime local resident she has lived in Edison since 1997 with her husband and two children.